5つ星のうち5.0Crosby's 1962 Christmas album with some of his best ever recordings thrown in for good measure! I love Christmas music and Christmas just isn't Christmas without listening to Bing Crosby! For years I have played songs off of his "White Christmas" album and a few tracks from a handful of compilation discs that I own. Somehow I have managed to overlook this album, until now! Although titled "Christmas Classics" this album is really Crosby's 1962 album "I Wish You A Merry Christmas" with some additional tracks added. It really should have been titled "I Wish You A Merry Christmas - The Deluxe Version"! Recorded 20 years after Crosby first recorded the song "White Christmas", his voice has lost none of its warmth or honey-smooth delivery. If you like Crosby's "White Christmas" album, if you like Como, Sinatra, Cole, you'll love this album. 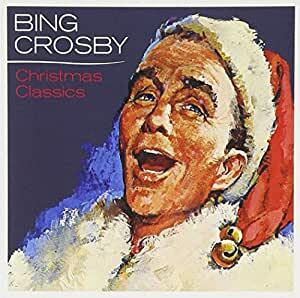 The original album is a gem that is overlooked and really should be in the collection of anyone who loves Bing's better known Christmas songs Crosby effortlessly delivers top notch versions of "Have Yourself A Merry Little Christmas", "Winter Wonderland", and "The Little Drummer Boy". However his rendition of "The Littlest Angel" is heartbreakingly tender and his turn "O Holy Night" is one of the best I've ever heard. If the original tracks from "Have Yourself A Merry Little Christmas" weren't enough "Christmas Classics" adds a nice but truncated version of White Christmas, the lively "Christmas Dinner, Country Style", a somewhat disappointing "Rudolph The Red Nosed Reindeer" (the only subpar track on the album), "Do You Hear What I Hear", easily one of Crosby's best ever, and the historic Crosby/David Bowie duet, Peace On Earth/Little Drummer Boy. If your a fan of Christmas music this is well worth picking up and if you're a fan of Crosby this is simply too good not to have in your collection. I am delighted to have purchased this album for my Christmas collection last year and will happily play it in the coming holiday season. 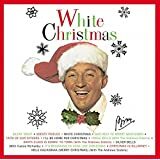 Please note, however, that this is NOT the classic Bing Crosby Album, "Merry Christmas" (lately retitled "White Christmas," in honor of its third, most famous track). 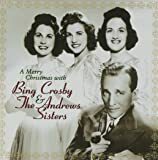 Apart from the widely variant dates of release, you can immediately spot the 1940s album in many ways: the illustration of Crosby wearing a mistletoe bowtie, against a solid white background; the inclusion of the Andrews Sisters in several tracks (such as "Santa Claus Is Coming to Town"), the arrangements by John Scott Trotter, and—most obviously—the different song selections. "Christmas Classics," issued over ten years later, contains an almost entirely different set of tracks, many of which had not been written at the time of Der Bingle's most famous Christmas outing (such as "Do You Hear What I Hear?" and "Let It Snow! Let It Snow! Let It Snow!"). The one carryover, "White Christmas," has been tastefully rearranged here by the great Nelson Riddle. A decade later Crosby's always melliluous baritone had become even more resonant in age. Owing to success with his ageless version of "White Christmas," Crosby issued many Christmas albums across the years, but I think "Christmas Classics" is one of the best in terms of variety of sacred and secular songs ("O Holy Night" and "Frosty the Snowman"), lovely arrangements backing the singer, and quality of audio reproduction. "Merry Christmas" will probably live forever, and probably should. "Christmas Classics" is a different listening experience from the same accomplished performer, and well worth an economical investment. 5つ星のうち5.0An Essential Christmas Album From The Voice Of Christmas! 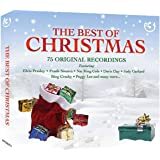 Capitol Records has given us an early Christmas present by reissuing and expanding it's 1999 Bing Crosby's Christmas Classics CD compilation. 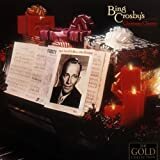 This new version, now titled Bing Crosby Christmas Classics, was released Tuesday September 26th. Gone is the dark cover photo of a piece of sheet music on a piano with a small b/w photo of Bing circa 1963 (which was first used when Capitol hastily reissued an abridged version of Bing's 1962 Warner Bros. Christmas album I Wish You A Merry Christmas in 1977 following Bing's passing). In it's place on this new CD is the original painting that was used on that 1962 Warner Bros. LP! Many people have asked me over the years if that album has ever been reissued on CD with the original artwork. Apart from a late 1980's Australian Axis label CD release of the album that's now virtually impossible to find, 2006's Capitol compilation marks that well-remembered cover painting's first widespread use in over 40 years! Inside the booklet are full page photos of Bing, including a 1965 Hollywood Palace publicity photo in color, and a b/w photo of Bing & David Bowie. On the backside of the case is a nice photo in silhouette of Bing in tux and tails standing behind a mike onstage at the Academy Awards in 1955. 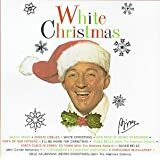 The CD contains all of the tracks issued on the 1999 release, with a new opening track...White Christmas from the 1957 Frank Sinatra Christmas TV show. It credits this cut as being a "Nelson Riddle Arrangement", when in reality, this is the arrangement Paul Weston wrote for Bing's A Christmas Sing With Bing annual radio show in 1955. 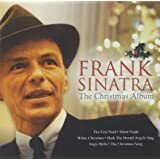 Now Reprise released the full length version of this song, complete with Frank taking the last chorus as a duet with Bing, as part of it's 2004 Frank Sinatra: The Christmas Collection CD compilation, but here Capitol re-edited the track to omit Frank's vocal! It makes for an oddly short track with a chopped ending, clocking at 1:34. The other new track is a stunningly crisp 24-bit remastered version of Bing's 1950 Decca recording of Rudolph, the Red-Nosed Reindeer, an obvious choice to follow the '62 album cut of Frosty The Snowman with on the disc. Do You Hear What I Hear and Christmas Dinner, Country Style are also here rounding out the disc with the full length dialogue version of Little Drummer Boy / Peace On Earth with David Bowie (recorded 9/11/77). Once again, however, as on it's 1999 release Capitol didn't create a separate cue point to the beginning of the music portion of the duet with Bowie. This would've been beneficial, giving the listener the option of cueing past the dialogue portion if they wished. However, it's nice to see Capitol keeping this album in print and taking the time and effort to improve upon it.